Most of us don’t need an anti-aging moisturizer yet, but no matter what, we do need a moisturizer of some kind. As you age, your skin tends to lose things over time. 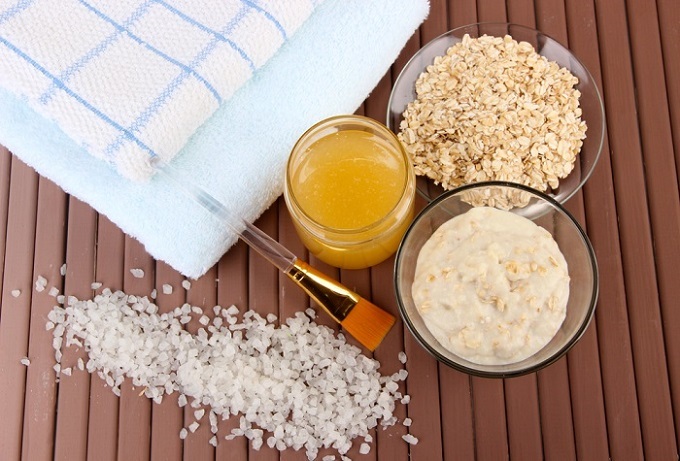 By using a moisturizer with SPF, you can help to retain the production of collagen. To keep your skin looking and feeling healthy, you need to moisturize and protect! Luckily for all of us, there are a lot of products out there that are meant to do that very thing. 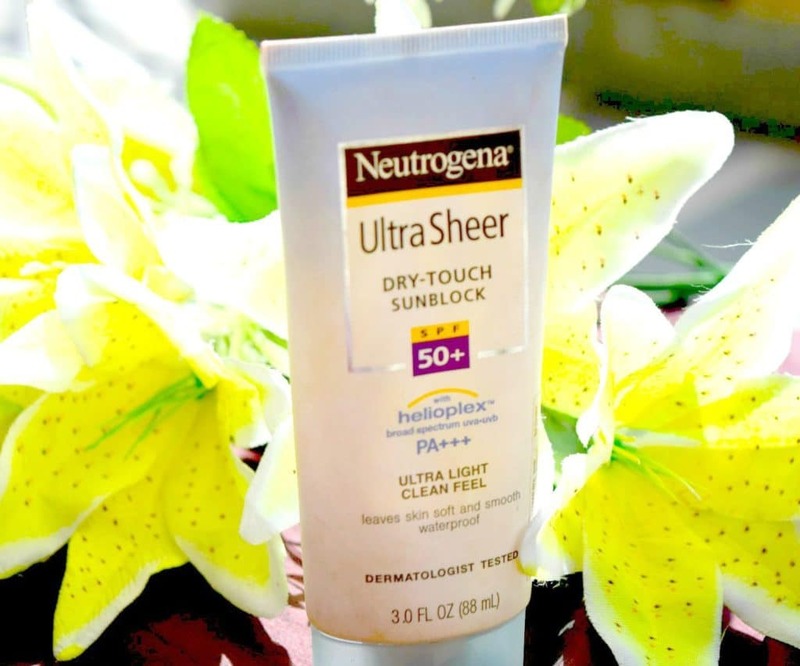 Neutrogena Ultra Sheer Dry Touch Sunscreen is the next one I’m planning to check out. It is supposed to have so many great qualities and I’m curious to see what the customers actually said about it! You might think to yourself, what’s so hard about picking out a moisturizer? I was in the same boat, until I did the research for these moisturizers with SPF. There are so many different features to each product and it’s crazy! But to make things a little easier for you, I’m going to break down the different things you need to consider when purchasing this product! Affordability: One of the reasons I have always been willing to try Neutrogena products is because they are always reasonably priced! If you choose anti-aging products, they tend to be on the higher end regardless of the name. But the best thing about this one is the fact that it comes in a 3oz bottle for the price and should last you a long time! How to Use: This sunscreen should be applied about 15 minutes before sun exposure. After that you will need to reapply about every 1 ½-2 hours. I should also point out that this is a water resistant sunscreen so you can use it no matter what you’re doing! Type of Skin: This is an oil-free lotion, so it will work for just about any skin type! 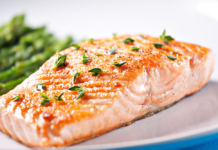 If you have oily-skin, you won’t have to worry about this making your skin look greasy! 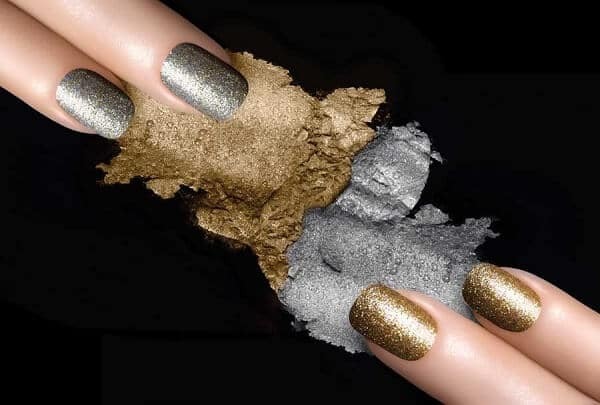 The dry touch technology makes this product super light with a matte finish. 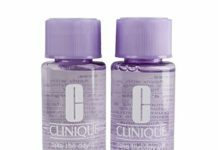 Since this is not fragrance free or hypoallergenic, it may have varied results on sensitive skin. But if you are only sensitive when it comes to sun exposure and get sunburned easily, this is perfect. The high SPF 55 with Helioplex Technology gives you the ultimate sun protection. Which is perfect for very fair or mature skin! Multiple Skin Benefits: As I mentioned already, this is just about the ultimate sunscreen with SPF 55 with Helioplex Technology. It is also a lightweight and sheer protection that will work for any skin tone. This is a moisturizing sunscreen, but with this product, Neutrogena is definitely focused more on protection and less on repair. In the product description, they talk entirely about the sunscreen aspect of this product. It may be considered a lotion, but I wouldn’t consider this for moisturization purposes. Scent: As I mentioned, this is not a fragrance free lotion. It has a light floral scent that you may like or not. It really all depends on the person. But many people liked it because it wasn’t the typical scent of sunscreen they were expecting from this product. Drawbacks: This is not really a moisturizer like many of the other products. It is non-comedogenic and formulated for your face. But it will not offer the deep hydrating moisturization you get from many of the other products. So if you are looking for a sunscreen for your face, this is perfect. But if you like the idea of a product that repairs damage already done, moisturizes, and has multiple benefits, I wouldn’t recommend this one. There isn’t much to it other than the sunscreen. This is the perfect sunscreen for anyone who needs higher sun protection. The SPF 55 is supposed to be superior to others because of its helioplex technology. This technology was formulated by Neutrogena to give your better broad spectrum protection! So it will block UVA/UVB rays effectively. That makes it perfect for everyone who burns to a crisp in no time at all. I have a few friends that I’ve gone to the beach with that had this problem. It was easy to see that for each trip they were totally unprepared...especially when they came home with sun poisoning! It was awful. But I would absolutely recommend this for them. Maybe the special helioplex technology would be able to save their poor skin! Considering they were lathering on other types of sunscreen without good results, it would definitely be worth a try. If you are looking for a product with a lot to it, this isn’t really the thing for you. This is a sunscreen. It is specially formulated to work on your face. It won’t clog your pores or make you greasy. But on the flip side, it also isn’t deeply moisturizing and it doesn’t repair tired skin. It might be good for protecting mature skin from further damage, but that’s it. It isn’t an anti-aging cream and it won’t help diminish the appearance of fine lines, wrinkles, or dark spots. I suppose this is all okay. Especially if you are on the search for a simpler product. But this is somewhat middle ground in my opinion. I either want a sunscreen that is very simple, or one that is packed full of benefits. So I think this would be something more people would be interested in if it was also fragrance free and hypoallergenic. Either way you look at it, it is definitely a great product! But I don’t want you to be disappointed when you get this and it doesn’t noticeably moisturize your skin. You will need an additional product for that. 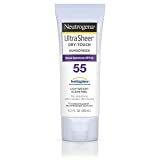 Neutrogena Ultra Sheer Dry-Touch Sunscreen is very affordable. The product comes in a 3oz tube that will last you quite some time. Which is even better because it comes at a super affordable price! It contains SPF 55 and Helioplex technology for superior protection. It is a #1 dermatologist recommended sunscreen because it helps reduce the risk of skin damage and skin cancer. It is oil-free, absorbs quickly, and is even water resistant. That makes it something to consider using even when you are working hard or going swimming! The dry-touch technology makes this product ultra light, sheer, and gives you a shine-free finish! Neutrogena Ultra Sheer will also work well for people with darker skin tones because of the dry-touch technology. It is sheer and doesn’t leave a white residue, so you won’t have to worry about it leaving a grey cast on darker skin tones, which is the typical complaint. The best way to know whether a product is right for you, is by breaking it down. I find it way easier to know if a product is right for me when I know all the details. I know I already covered a lot about the product so far, but I like to include this in case you’re in a hurry and just want to know the benefits. It can also come in handy if you are trying to compare this product to others! Neutrogena is a great brand. Not only do they make a lot of wonderful products, but they are also all very affordable! This product is no exception and you can get it for a very affordable price. The reason the low price is even better is because it comes in a 3oz tube. That might not seem like much. But since this is meant for your face you won’t need to use much for optimal coverage. While this might not really be meant for use as a moisturizer, it is a fantastic sunscreen! It contains SPF 55 with Helioplex Technology! I had never heard of Helioplex Technology until now, which is because Neutrogena created it. It basically is a unique mix of sunscreen ingredients that will give you the ultimate sun protection! The addition of the Helioplex Technology is so good that this is a #1 dermatologist recommended skincare brand! Because this gives such great protection in the sun it helps reduce the risk of skin cancer. So if you like to know that a product is backed by professional opinion, you’ve got it! This is an oil-free lotion. That means this will give you proper sun protection, without making you greasy like every other sunscreen! This also contains Dry-Touch Technology. It goes on smooth, sheer, and shine free! It plays a big part in keeping your skin from getting sticky or shiny. So if you want a matte finish like I do, I think you’ll appreciate this product! Another thing I hate about sunscreen is the fact that it takes forever to sink in. That’s pretty much because most sunscreen is super greasy. I never thought there was much hope of getting around it. But this Neutrogena Product absorbs quickly as part of the Dry-Touch Technology! This is definitely something I always wanted to see in a sunscreen product! Since this product is formulated for use on your face, it is also non-comedogenic. So it will not clog your pores. I think that will help a lot if you have issues with acne already. This may not fix your current problems, but it shouldn’t contribute to the problem either! Because this absorbs quickly without any greasy residue, you can apply makeup after using this product! I would probably only recommend this if you aren’t going to spend more than 2 hours in the sunshine. Otherwise you will have reapply, which will ruin any foundation you have applied. It’s perfect if you just want some extra protection but still want to do yourself up! Last but not least, this product will work with all skin tones! If you have a light skin tone, you may not know the struggle. But when using higher SPF product, it can be hard to find something that won’t leave your skin with a grey cast if you have a darker skin tone. This product goes on sheer and absorbs quickly, so your skin will look totally normal and have all the protection you have been looking for! There were a tremendous amount of reviews for this product! I like to see this when researching a product because I focus more on what the customers say about it. I like to know what the brand promises in the description compared to what actually people liked or disliked when they were using it. But in this case, the promises of this product were pretty much spot on. It absorbs quickly and does not leave you feeling greasy like most sunscreen products. I also learned from the customers that it can be hard to find a product with this level of SPF that will work well on darker skin tones. They are known to leave a grey cast on dark skin tones, which is obviously not what you’re looking for in a sunscreen. I also learned that you definitely want to keep it far away from your eyes because if you accidentally rub it into them, you will not be a happy camper! It has a surprisingly thick consistency. Also, it may not work for sensitive skin. There were quite a few people that had issues because this product was neither fragrance free or hypoallergenic. So all of these issues depend on your skin. But other than simple complaints, customers love this product and all the protection it offers your skin! There is really no perfect product. Each one will work for some people and be a downright nightmare product for others. It can be the kind of thing that is pretty difficult to judge. But after giving you all the details I could find, I hope you will be able to successfully determine whether this is right for you or not! We aren’t here to sell you anything, we just want to help you make informed decisions for your skin! So if you have come to the conclusion that this is product for you, there are 3 alternative products we would like to share with you! This is another very affordable moisturizer with SPF 30. 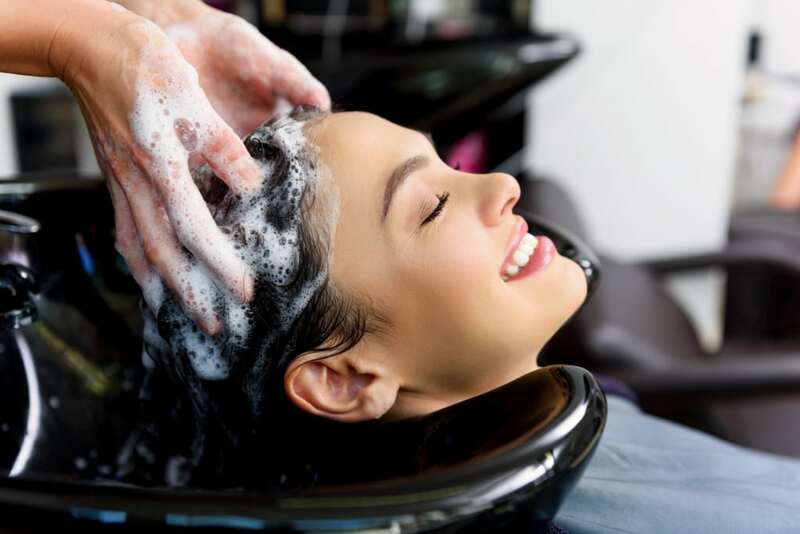 It is oil-free and a fantastic brand that made it on our list several times! Enriched with antioxidants and vitamins, this will refresh your stressed skin. It is hypoallergenic and good for sensitive skin, as well as being non-comedogenic so it won’t clog your pores. It actually has the added ingredient of Southernwood extract so it will protect your skin from pollutants and fortify the moisture barrier. After using this your skin will be soft, smooth, and deep conditioned! Each product has its perks. But if you aren’t really looking for an anti-aging moisturizer, Smart Essentials might be better for you. It is enriched with antioxidants and vitamins to refresh your stressed skin, it protects your skin from UVA and UVB rays and pollutants. Not to mention it’s more affordable merely because it isn’t an anti-aging moisturizer. Either way they are both fantastic products. But if you’re more interested in Aveeno Smart Essentials Daily Nourishing Moisturizer, you can find it on Amazon for a reasonable price! This is one of the pricier options on our list. It comes in a 2.5oz container and contains sunscreen that is SPF 30. It will protect you from the risk of skin cancer and early aging and restore healthy looking skin. This lightweight formula absorbs quickly, providing you with all day hydration. It is even considered a probiotic skin care formula that restores skin’s natural protective barrier after just an hour! Customers loved the fact that this product is paraben and fragrance free, allergy tested, and tested on sensitive skin. Between all these benefits it is worth the price for most of the customers! I know this is a more expensive option. I typically go for the more affordable options myself. But there are a lot of extra benefits to this product that you can’t find in all of these products. You get SPF 30 sunscreen, all day hydration, probiotic skin care, a lightweight product, and it reinforces your skin’s natural protective barrier! Not to mention the fact that it is fragrance and paraben free! 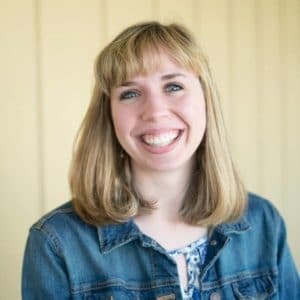 So if you find yourself looking for something with a multitude of benefits and don’t mind paying a little extra, this could be right for you! If you’re interested in La Roche-Posay Toleriane Face Moisturizer, you can find it on Amazon! You might feel ridiculous getting a lotion that doubles as sunblock with SPF 110. It might feel extreme. But to be honest, I have a few friends I have seen totally embarrassed by how high their SPF is or how often they have to put it on so they don’t burn to a crisp. But why get embarrassed? You are the one who has to feel the sting of sunburn. You’re also the one who is going to have to live with the result of frying your skin over and over as you age. This is a wonderful product that will protect you from the sun and the dangers it can bring with it! So if you’re interested in this product, you can find Neutrogena Age Shield Lotion Sunscreen, on Amazon! 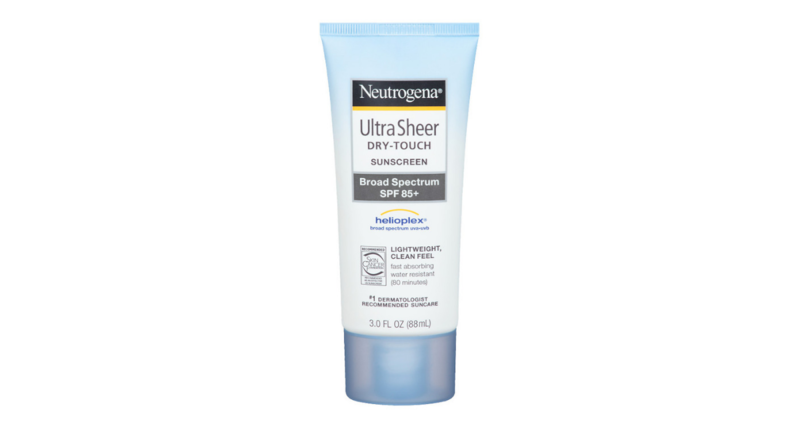 Neutrogena Ultra Sheer Dry Touch Sunscreen is a little different than other products on our list. If you are on the search for a more basic sunscreen, this could be perfect! It offers all the protection you need to save your skin from the sun’s harsh rays! It may not have all the benefits of some of the other products, but sometimes that’s better. It’s affordable and you might already have a favorite moisturizer. So while you use other products to repair and moisturize your skin, you can use this Neutrogena product to keep your skin safe from further damage! So if you’re interested in Neutrogena Ultra Sheer Dry-Touch Sunscreen, you can find it for a great price on Amazon!